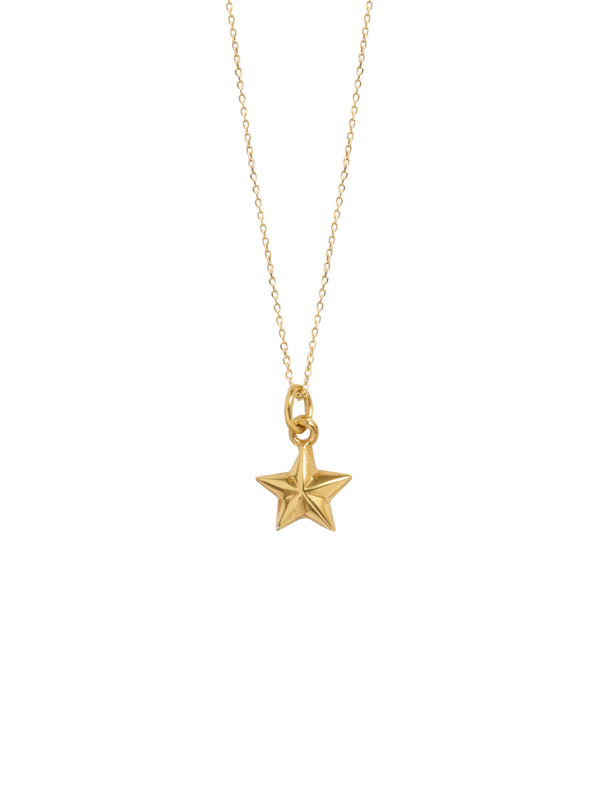 There’s no better way to get your necklace layering game on than with this cute little gold plated star. The charm measures 1cm in length and would be the perfect starting point from which to layer up bigger necklaces. The star hangs on a sterling silver chain which has been plated in 23.5 karat gold and has three different length options, ranging from 40cm to 50cm. Making it ideal to layer with other necklaces from this range. Free for UK Orders Over £150 (and of course, our digital gift cards). All deliveries require a signature and will be gift wrapped in Tilly Sveaas packaging. We promise to refund or exchange any unworn jewellery you are not completely happy with (excluding earrings and sale items) within 14 days of delivery. Please send it to us using registered post as we cannot be responsible for any loss. Please read our full Delivery & Returns information. © Tilly Sveaas Jewellery, all rights reserved.